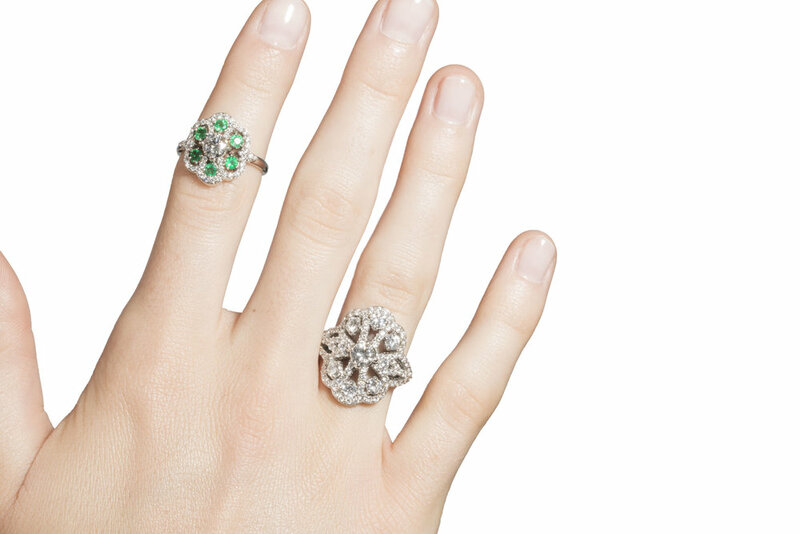 This beautifully crafted diamond and white gold ring is from Katherine LeGrand's Diamond Lace Collection. Designed and crafted at her studio in Aspen, Colorado, the Diamond lace Collection evokes the sense of diamonds stitched together. Center diamond is .48 carats, G in color and VS2 in clarity, all other diamonds are 1.43 carats total weight.